A night of bad judgement, and now you're facing a DUI charge, which is a very scary experience. You likely don't have any idea of what to expect or what to do next. We understand that you have many questions and concerns such as losing your license and freedom. During your free consultation, our experienced DUI/DWI attorneys will address these concerns, and let you know what we can do to give you another chance. We serve all of Northern Virginia, and have offices in Fairfax and Alexandria Virginia. For 30 years, our highly experienced DUI defense attorneys have aggressively fought throughout northern Virginia for our clients in both state and federal courts. Our attorneys focus 100% on criminal defense and DUI defense, and have resolved hundreds of drunk driving cases. Our firm makes it a personal goal to win each case that we undertake. When you are faced with DUI or DWI charges, it is crucial to hire a lawyer who has the experience and drive to aggressively defend you, educate you about the charges and possible outcomes, and keep you informed about changes in your case. You need to know what will happen to your driving privileges, what fines you may face as well as other types of penalties. This communication and education helps build trust between attorney and client. By working together with clients, our Virginia DUI attorneys can better provide a defense in your case and produce the best outcome possible. We take great pride in producing satisfied clients and we are ready to assist with any DUI, DWI, or other alcohol-related charges you may have. You can be sure that we will be by your side every step of the way. We never forget the obstacles our clients may be facing as we represent them. We will treat you as part of our family. You will be a member of our team as we prepare to defend you. 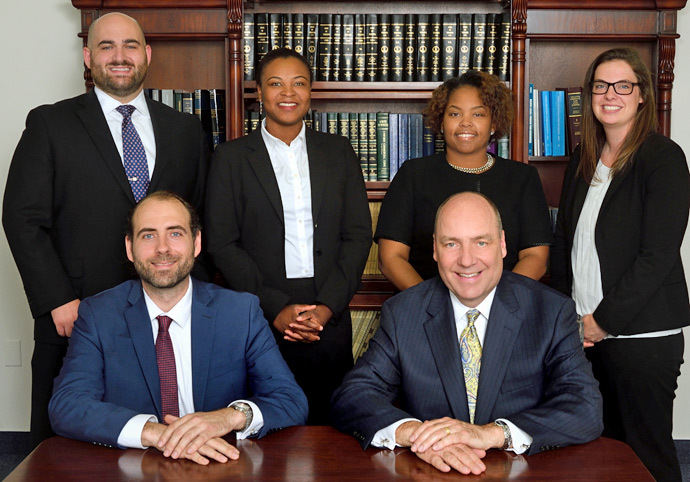 Over the last 30 years we have been providing aggressive legal representation in City of Alexandria, Fairfax County, Prince William County, Fauquier County, Arlington County, Stafford County, Loudoun County, and the United States District Court. Whether this is your first time being charged with DUI or are facing a multiple offense, please reach us at (703) 930-5117, or email us for a free consultation. Rest assured that any information provided to us is completely confidential. We look forward to helping you.